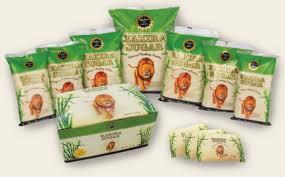 DAR ES SALAAM – Tanzania has lifted the ban on duty-free Ugandan sugar imports, Business Daily has reported. The move is likely to intensify competition between Kenya and Tanzania for Uganda’s sugar. While Tanzania has been restricting the purchase of imported sugar to protect her factories, Kenya has been buying Uganda’s sugar. Now Tanzania seeks to address a shortage of about 290,000 tonnes. Uganda is allowed to export a given quota of sugar to Kenya under the Comesa arrangement. The quota is spread across all the member states based on shortage. Although Uganda exports some of her sugar to the neighbouring countries, many Ugandans do not have access to the product because of the high price which is usually way above UGX3,000.